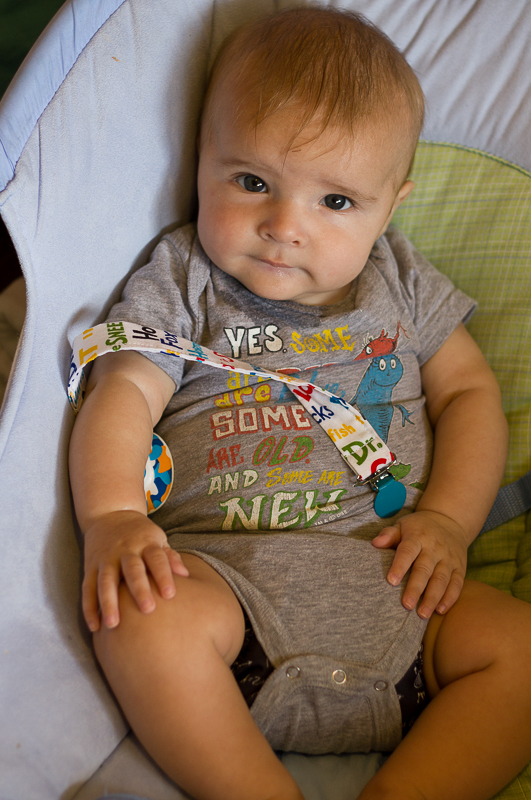 Coming this fall: more cute baby gear! I’ve been a busy little bee behind the scenes over here cooking up some new stuff for the shops- both the etsy store and my booth at UrbanDigs. So many ideas floating around in my head, so little naptime to get it all done! So far I’ve managed to get a few new products out the door and am working on some more. 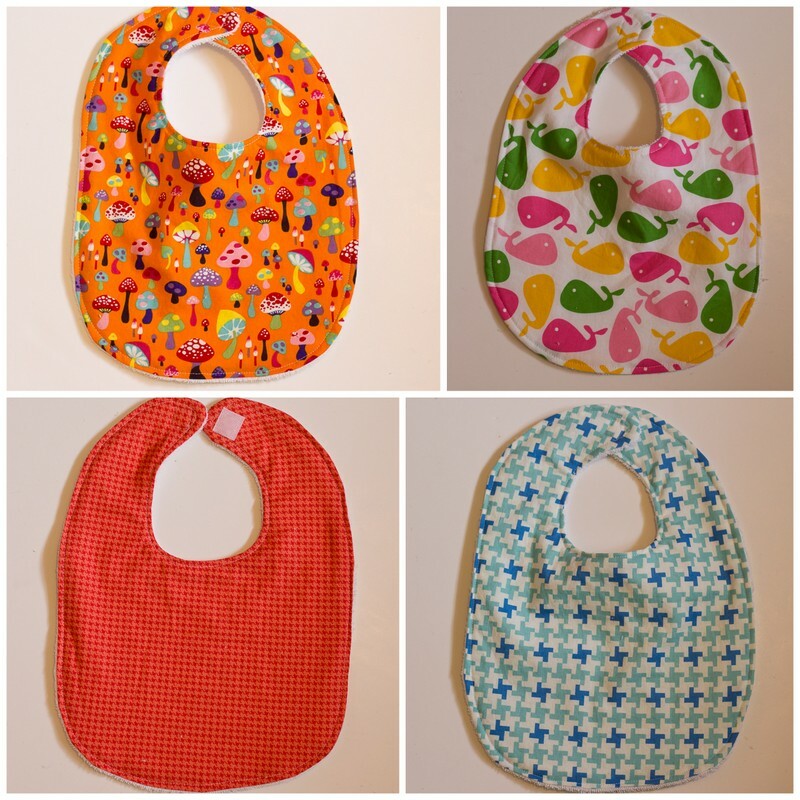 First off- I’ve been wanting to produce some bibs for a while now and have never settled on the style I wanted. Enter baby mcdroolypants and I have my inspiration. 🙂 (I love how all of my inspiration comes out of things I make for my boys!) 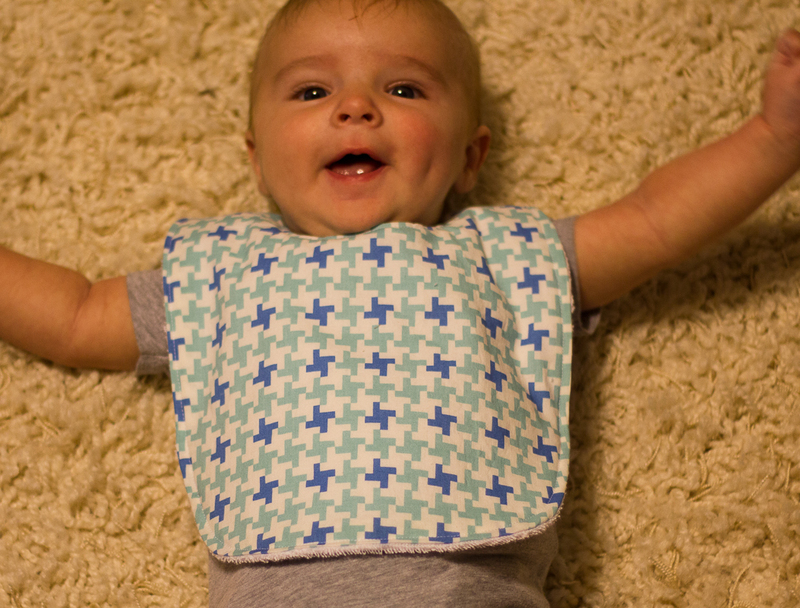 I like these terrycloth backed bibs because you have a super cute print on the front and a nice absorbant back that keeps the drool/spit-up from soaking through to their clothes. Here’s Eliot showing off one for the shop pictures. I think he likes it! Next off, I have a project that I had planned on making for Oliver and never got around to so child #2 was motivation to finally get this done. I love how easy these pacy clips are! And so cute too! After I posted these pictures to Instagram, I sold out in just a few hours! Here’s hoping the etsy store is just as successful. I was really excited to find the colored clips because I feel they add a little something extra. 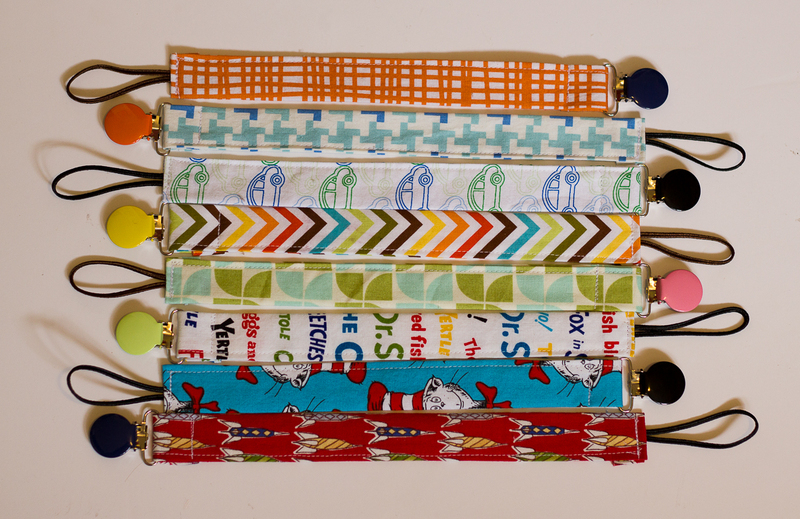 This entry was posted in Accessories, For Sale, Kid sewing and tagged baby bibs, etsy store, handmade pacifier clips, handmade terrycloth bibs, pacy clips, soothie clips by oliver's fancy. Bookmark the permalink. Such cute things! I saw you on Rae’s blog this morning, awesome!